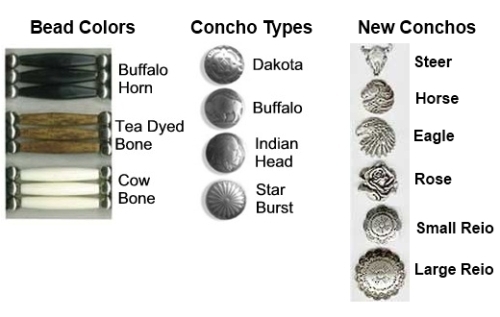 Design your own belt with your choice of (3) bead colors and (4) concho styles. 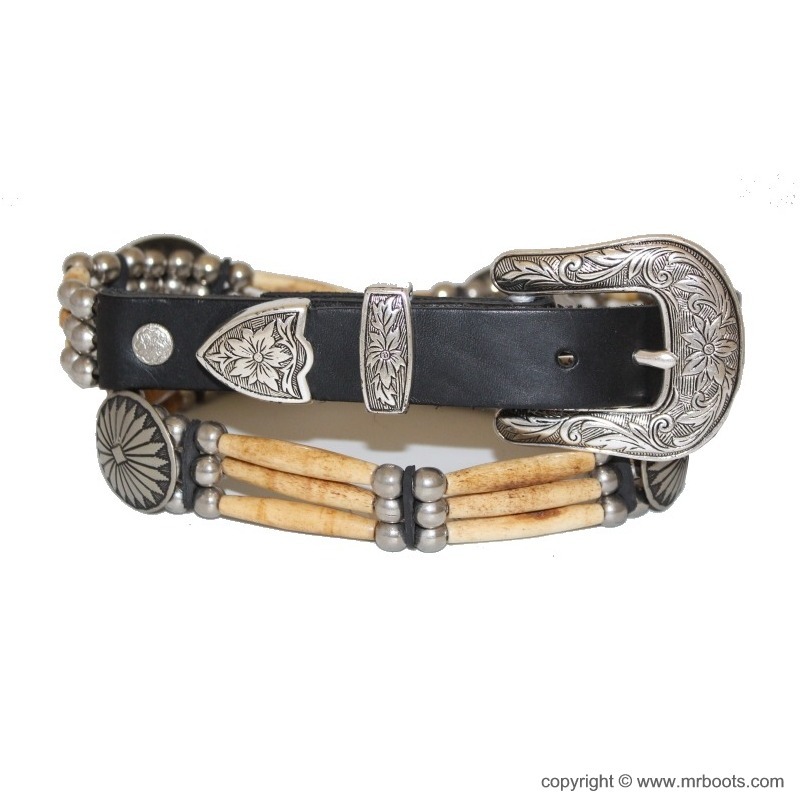 Made of Genuine Black Latigo Leather with 3 strands of beads with Conchos. 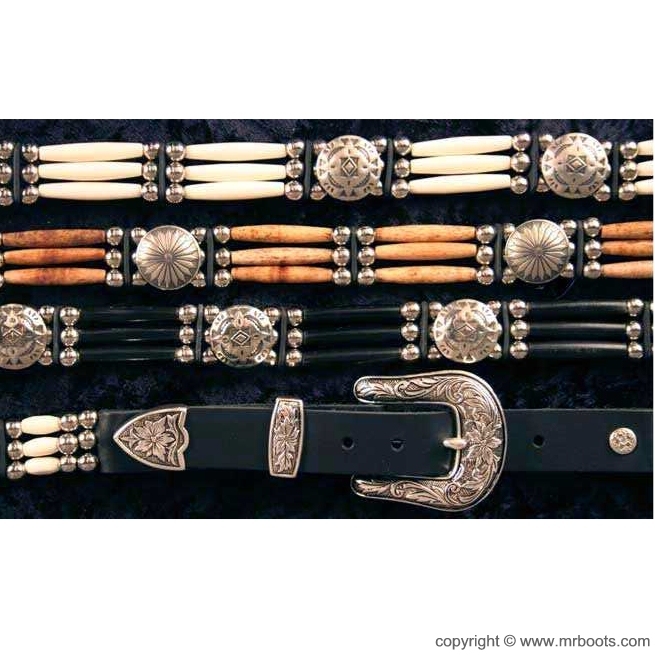 These Belts are beautifully hand crafted with a Native American and biker spirit. 1" 3-Piece Antiqued Silver Belt Buckle Set is included. Belt size is 2 inches larger than your waist size. These belts are custom hand made per order. 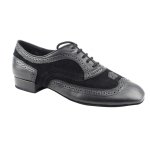 Delivery is from 1 to 4 weeks. 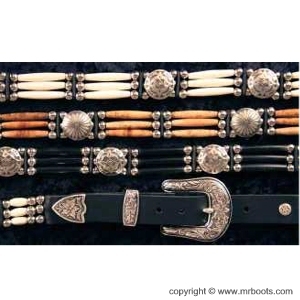 We also have available matching hat bands, boot straps, boot bolos, chokers, earings, necklaces and bracelets.